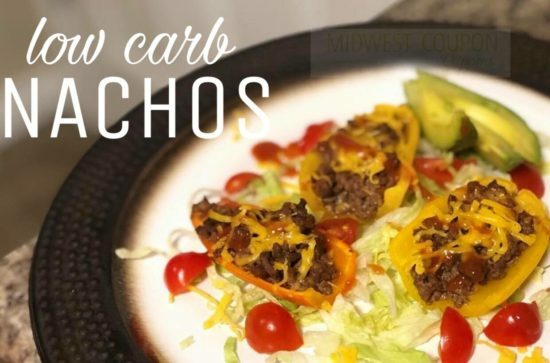 Low Carb Cheese Steaks – KETO Friendly! Cheesesteaks are my weakness. Along with stuffed peppers. All the carby goodness. Bread-less meat and cheese just wasn’t cutting it & I’m desperately missing one of my Nonna’s stuffed peppers. 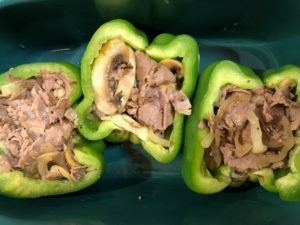 So here we are, the best of both worlds: Cheese-Steak Stuffed Peppers. 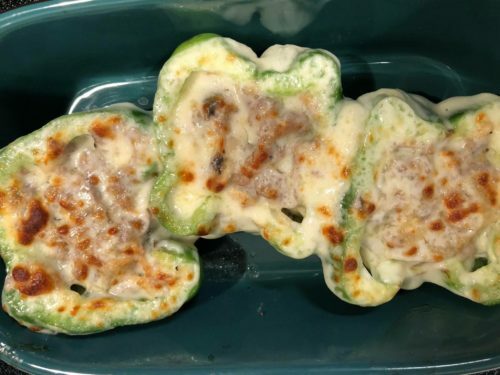 Place a slice of cheese into the bottom of each pepper, fill pepper with meat mixture and top with a second slice of cheese then Bake in oven for 25 minutes! To be honest…I do not love pizza. I really don’t even like it. – at all – What I do love? PIZZA TOPPINGS! 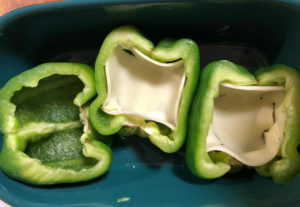 You know how kids usually leave the crust? Well that’s me. Except I leave the whole slice of pizza, minus the toppings. Now… I know what you’re thinking. “Who the heck doesn’t love a good slice of pizza?” Let’s just settle this now & I’ll send myself to the corner. Buying pizza and just eating the toppings, what a waste! So… low and behold: my new best friend. PIZZA TOPPING PIZZAS! Nachos. Is there anything better? I love a good crispy, salty tortilla chip. Unfortunately with eating low carb, they are not in my wheelhouse. So why not get creative? Peppers as chips it is! 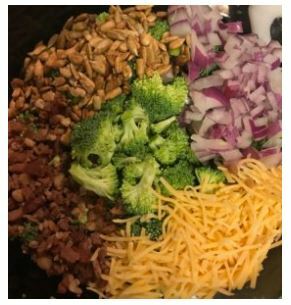 Let me be clear when I say this one thing…I do NOT love broccoli. It’s a love-hate relationship. This salad…HAS CHANGED MY MIND. First, I am a firm believer in: food should be colorful. & THAT is this salad! 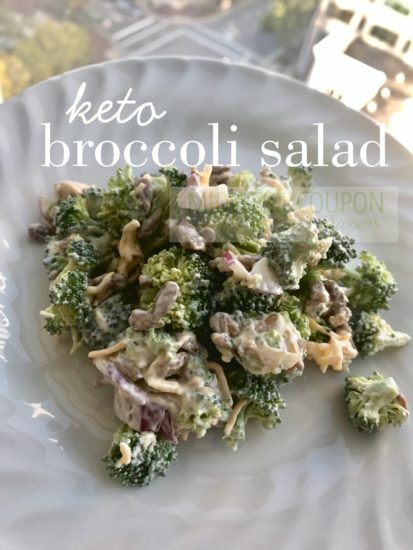 The broccoli is tender, the dressing is creamy. Savory bacon & crunchy sunflower seeds. Plus cheese! If you don’t LOVE cheese, we can’t be friends. 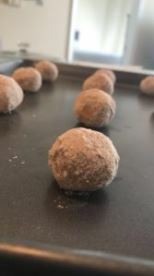 Refrigerate at least one hour then serve! 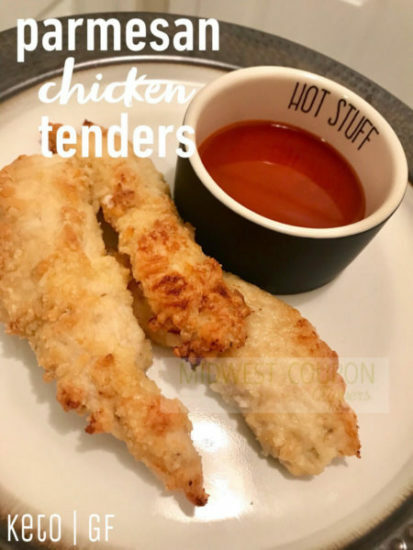 Chicken tenders are my favorite! Now that I’ve started keto it killed my chicken tender vibe. I had to come up with a way to bring them back into my life. 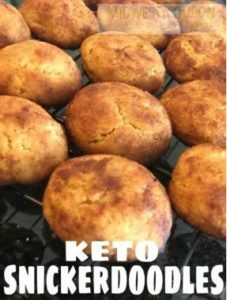 So here we are — an absolutely delicious, low carb way to have them anytime I want! Coat chicken in a thin layer of mayo. 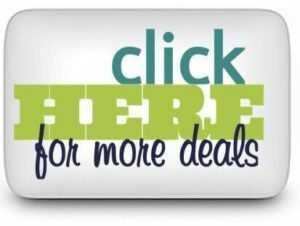 (Now I know what you’re thinking… WHAT?! But hear me out. This acts like the egg when frying chicken; if you think about it, mayo is just eggs and oil. 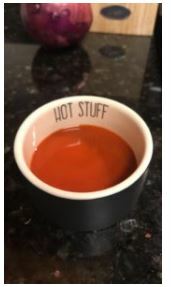 It also makes the chicken tender and keeps it juicy! Tip: This part gets just a little messy, I highly suggest using gloves – NO MESS! Shrimp is my go-to. Especially if I have had a carb or fat heavy day. This meal is both of those & shrimp makes a great addition! 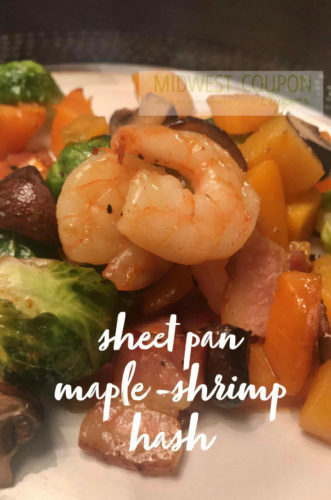 Plus, who doesn’t love an easy sheet pan meal?! I call them cheat-sheet meals. 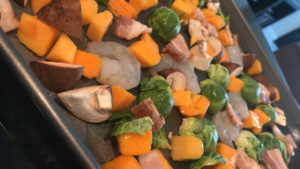 Now… usually hash includes potatoes, but here I substituted butternut squash accompanied by brussel sprouts & bacon; because everything needs bacon. Everything is better with bacon. 📍 Pin it HERE for Later! 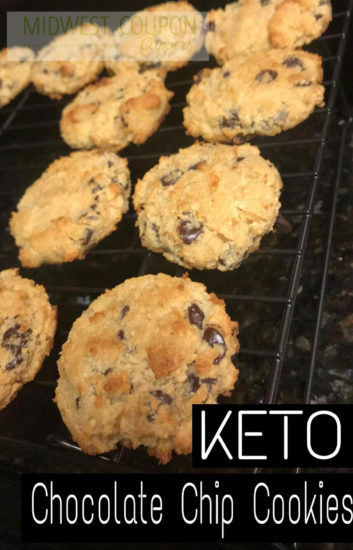 These are my third cookie attempt since I’ve started Keto…& I am pretty certain that they’re my favorite yet! 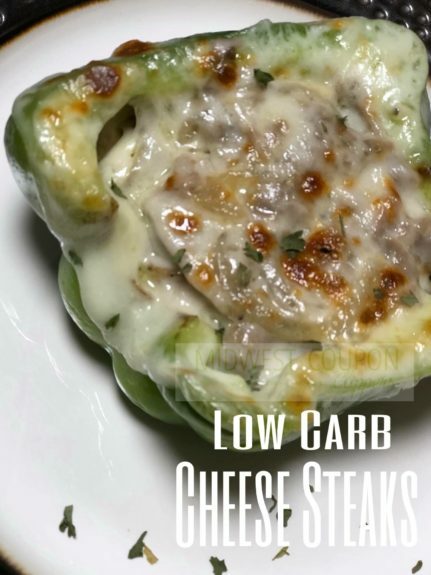 These are flavorful, soft and low carb. Is this even real life?! Viola! Enjoy the pillowy goodness. Tip: To quickly mix your cookie dough, try mixing it in a Ninja blender. SO EASY! (I would have used mine… but I didn’t do the dishes yet… shh!). Another great tip, if you don’t have a nonstick cookie sheet, try these out. I was skeptical on this… cauliflower and I don’t exactly have the best track record LOL. All-in-all though, this turned out pretty tasty! 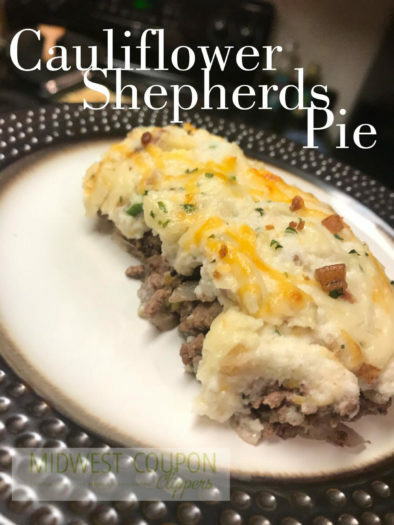 Traditional shepherd’s pie generally has potatoes, corn, carrots and peas. 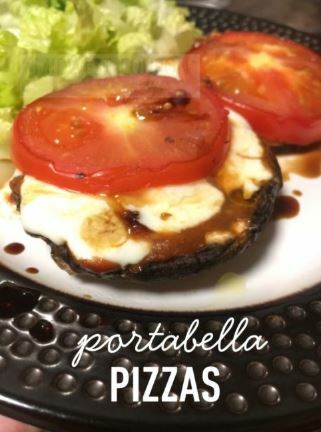 In order to make this a low carb alternative, we had to get a bit creative. 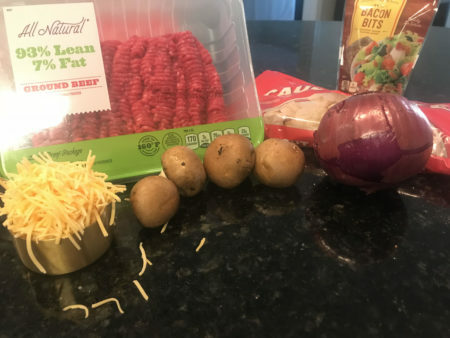 I used cauliflower in place of the potatoes then used onions and mushrooms with the beef. 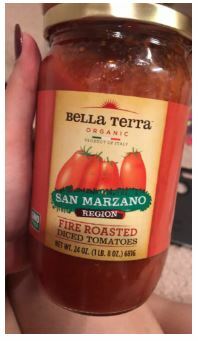 You could add zucchini, eggplant or even tomatoes if you wanted! Steam cauliflower per the directions on the package. Once cooked, combine cauliflower, cream cheese, heavy cream and butter – I cheated and used my Ninja blender, SUPER convenient! Tip: I suggest sprinkling bacon bits on top because… Well… Who doesn’t LOVE Bacon?! THIS, this cake. Where do I begin? Besides delicious, this cake is also SO versatile. 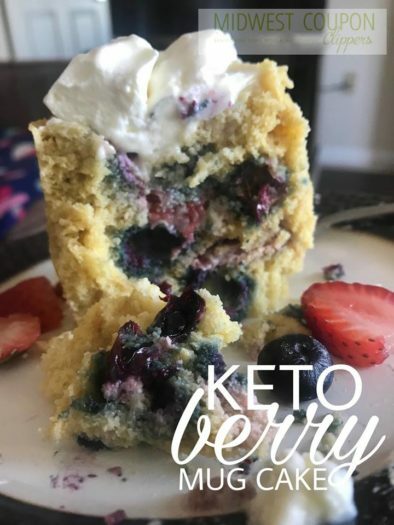 Its great with berries but cinnamon or sugar free chocolate chips would make a great addition too! 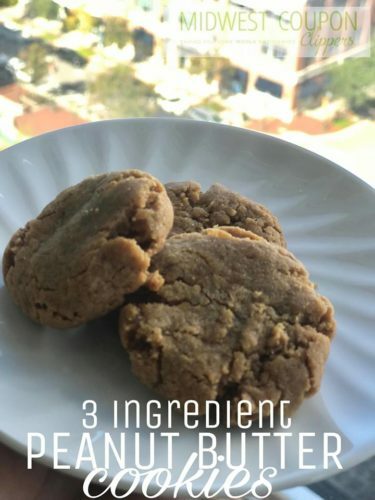 Not only are the mix-ins endless, this makes a great dessert or breakfast. BONUS: it only takes 90 seconds to bake! Mix all ingredients together in a mug and microwave for 90 seconds, that’s it, done! Tip: Garnish with a quenelle of homemade whip cream! I have been craving a good chocolate chip cookie & these are under 2 net carbs!